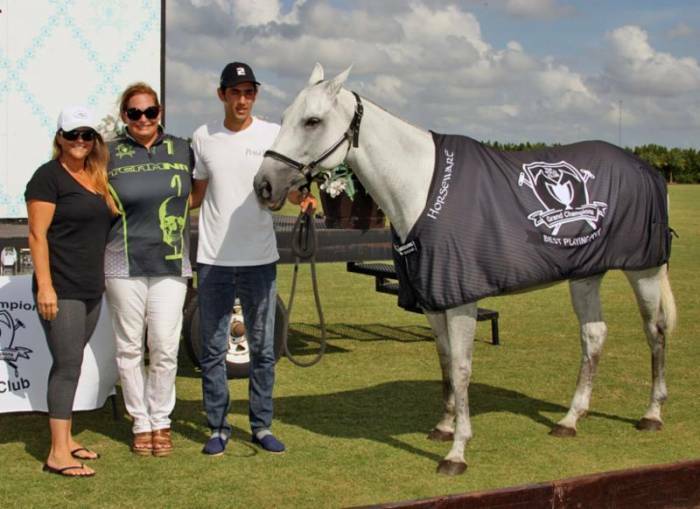 Casablanca won its second spring tournament in a row Sunday at windswept Grand Champions Polo Club. 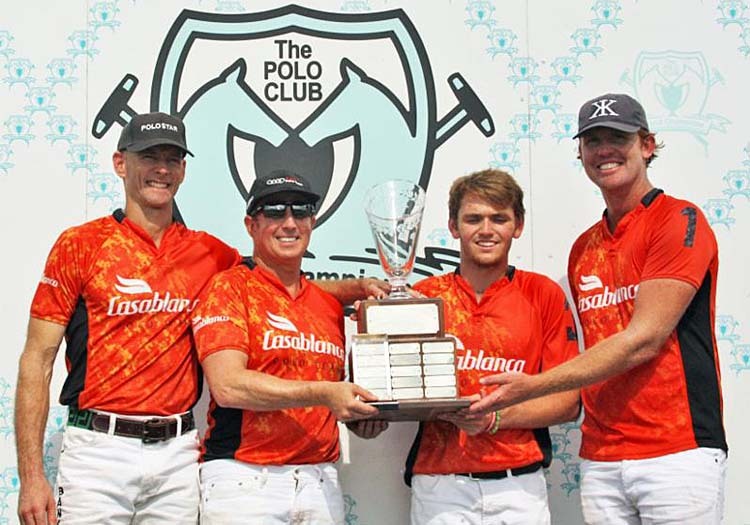 The team of Gene Goldstein, Grant Ganzi, Julio Arellano and Kris Kampsen captured the Spring Challenge Cup, just one week after capturing the season-opening Grand Champions Cup. 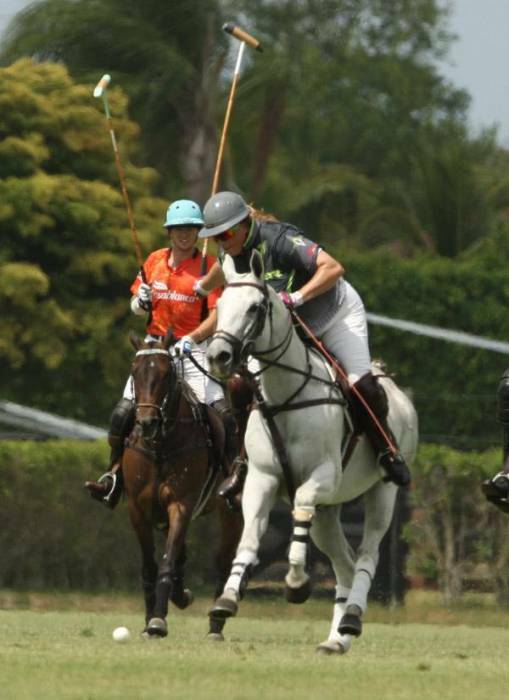 Casablanca defeated Team NR (Tim Dutta, Melissa Ganzi, Nic Roldan, Juan Bollini) by 10-8. Team NR was making its sponsor debut at Grand Champions. 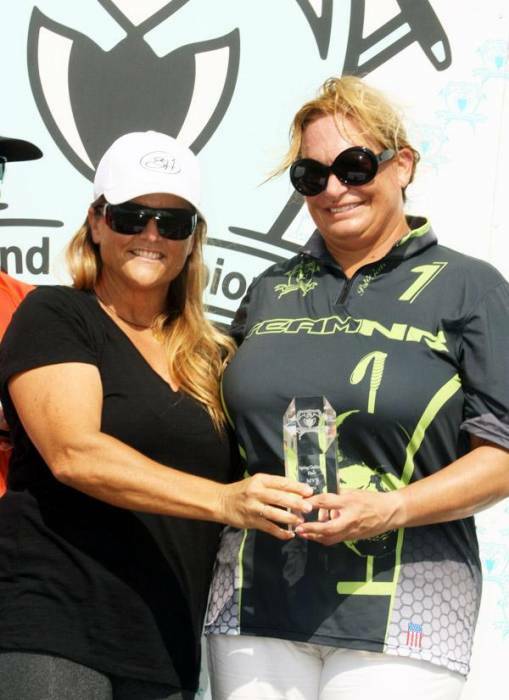 Ganzi, one of only two women to play high goal polo during the winter season in Wellington, was named Most Valuable Player after scoring a game-high six goals. 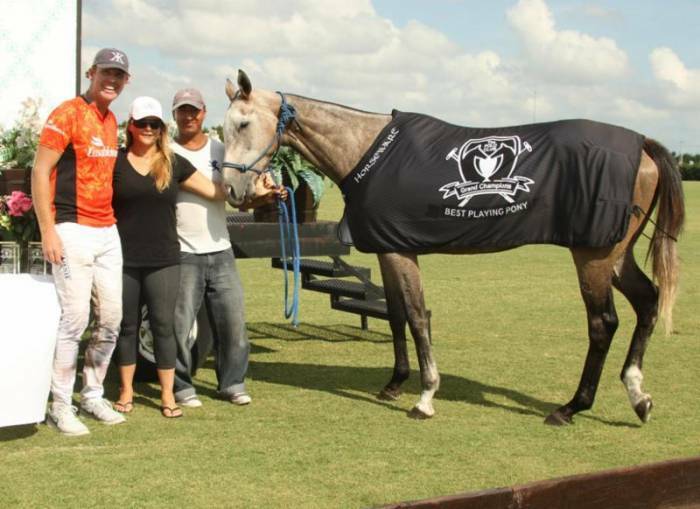 Ganzi’s horse Camisa, played in the second and sixth chukkas, was selected Amateur Player Best Playing Pony by polo great Sunny Hale, the post-game awards presenter. 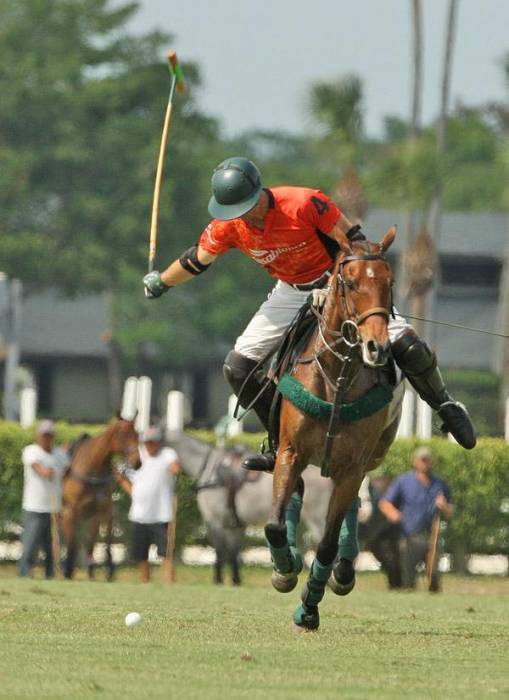 Kampsen’s 5-year-old horse Miravol was named Pro Player Best Playing Pony. 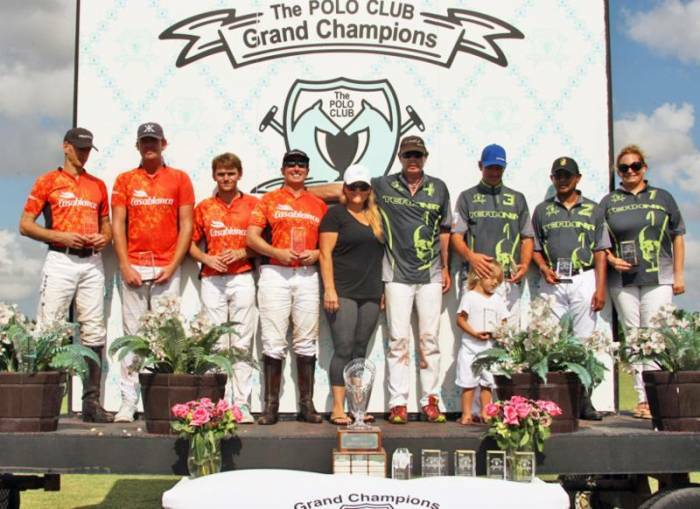 In the spring season-opening Grand Champions Cup, Casablanca (Grant Ganzi, Juancito Bollini, Sebastian Merlos, Kris Kampsen) defeated Power Horse (Walter Scherb, Michael Bickford,Tincho Merlos, Nic Roldan) by 18-17. Casablanca fell behind early in the opening chukka getting shut out, 2-0, after back-to-back goals from Dutta in the first chukka. 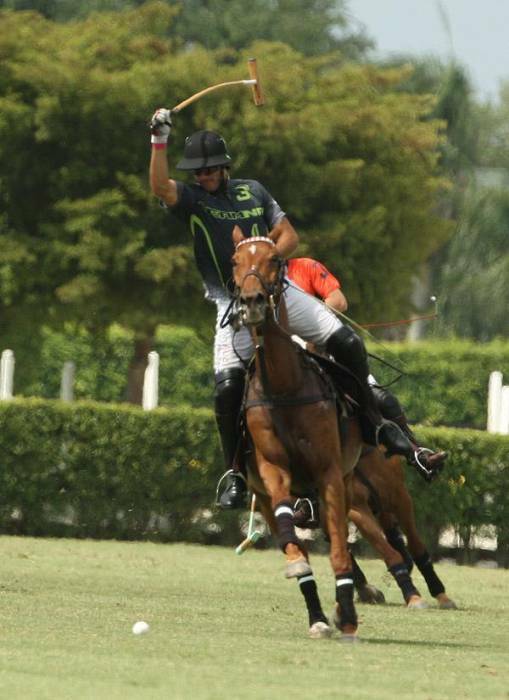 Casablanca quickly regained its’ composure to shut out Team NR, 3-0 in the second chukker to take a 3-2 lead with two goals from Arellano and one from Goldstein. Casablanca never trailed after that, leading 4-3 at the half, 6-4 after four and 9-5 after five chukkas. 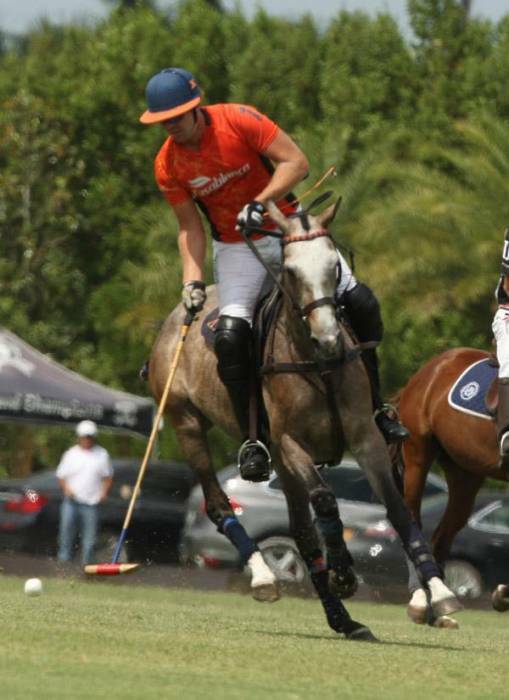 Arellano, a Cardinal Newman and Florida Atlantic University alum, enjoys the competitive, but laidback atmosphere of Grand Champions that offers community polo in front of family and friends. “This is great, this is fun,” Arellano said. “It’s geared around everybody having a good time and the patrons getting to hit a lot of balls and being able to try new things and make mistakes without thinking it’s going to cost them the game.” Arellano plans to compete all four weekends of the spring season. The game not only pitted friends against each other but mother against son, Melissa and Grant Ganzi, who recently had his goal rating raised to two-goals. “I am really happy with the win, I haven’t won back-to-back Grand Champions tournaments in a couple years,” said Ganzi, 17, set to graduate St. Andrew’s this month and headed off to Lynn University in the fall. For Casablanca, Goldstein scored a game-high four goals including banking one off the goal post. Kampsen, Arellano and Ganzi each scored two goals. In addition to Melissa Ganzi’s six goals, Dutta added two goals. In the subsidiary final, The Dutta Corp (Timmy Dutta, Marc Ganzi, Pike Diaz Alberdi, JJ Celis) defeated Power Horse (Walter Scherb, Jason Crowder, Brandon Phillips, Lucas Lalor), 11-9. Fourteen-year-old Timmy Dutta was named Most Valuable Player after leading all scorers with four goals, including one penalty shot. Alberdi added three goals and Ganzi and Celis each had two goals. Crowder led Power Horse with three goals. Scherb, Phillips and Lalor each scored two goals. Lalor’s sixth-chukka horse Chestnut was selected Best Playing Pony. The Spring Challenge was the second of six medium-goal tournaments that are scheduled at the nine-year-old club, which features some of the nation’s top players including Nic Roldan, Kris Kampsen and Julio Arellano.